Ralph H. Baer, who created the first home video game console and a National Medal of Technology award recipient, died on Saturday in Manchester, N.H. He was 92. Known as the “father of video games,” Ralph Henry Baer created the first home game system in 1966 while working for Sanders Associates, a defense contractor based in Nashua, N.H. The device was the first to connect to a home television set with playable games using a joystick controller. Baer and Sanders Associates licensed the technology to Magnavox in 1971, who produced and commercialized what was known as the “Brown Box” into the Magnavox Odyssey home console in May 1972. Baer described his idea for a game console as a “eureka” moment. Back in 1955 when he designed a television for Loral Electronics, a New York defense contractor, he pitched the idea of having games built right into the set but management denied the plan. In August 1966 while waiting at a bus stop in New York City for a Sanders colleague to meet a client, he wrote down concepts on a notepad for a game box that would connect to any television. The next day on Sept. 1 he transcribed the concept into a four page disclosure document and immediately began working on the device. It all started out as a side project within the company because Baer’s employer initially didn’t see the point of the device. Co-workers often told him he was wasting his time. With around 40 million television sets in U.S. homes in 1966, Baer believed he could have a lucrative business turning them into a form of interactive entertainment with playable games. While some in the company were skeptical, he still received $2,000 in funding from Sanders for the project. 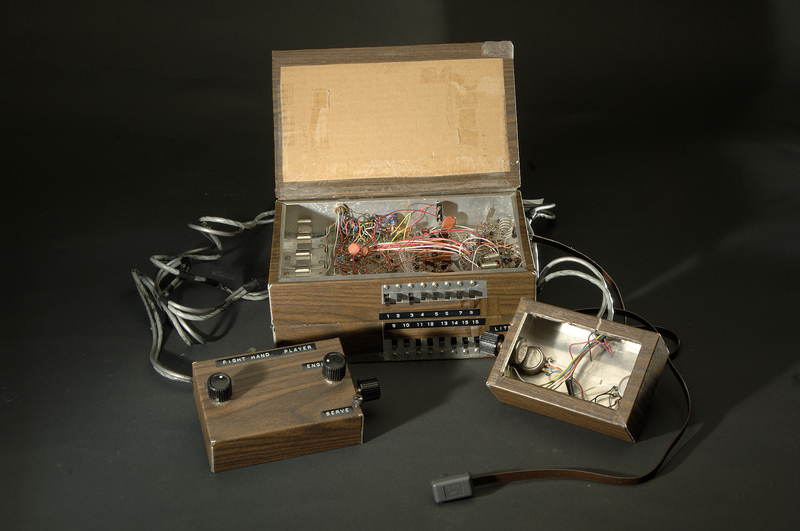 Along with colleagues Bill Harrison and Bill Rusch, Baer developed the Brown Box in 1967. The Brown Box got its name from the wood-color covering the system had to give it a more appealing design. 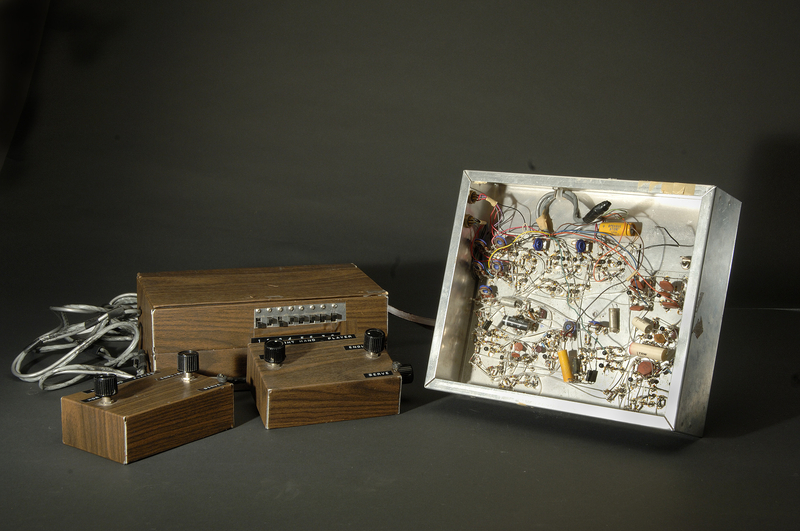 It took seven prototypes before the console became what it was by 1968. Baer pitched the Brown Box to several television manufactures but none agreed to licensing terms until Magnavox a few years later. 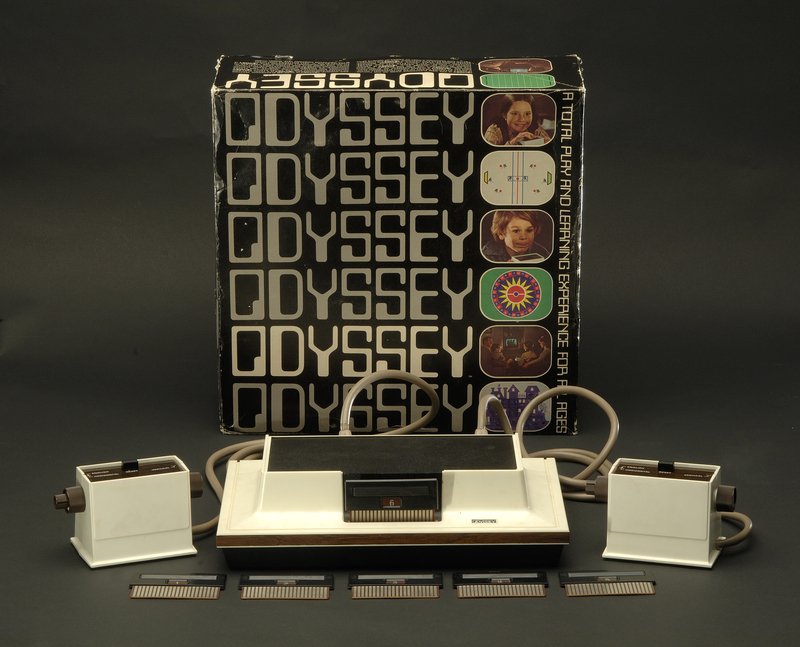 By the end of 1972 more than 130,000 Odyssey consoles were sold, which retailed for $99.95. Commercials for the console ran on television and it was even demonstrated on a ’70s game show. More than 330,000 units of different Odyssey models were sold by 1975. Baer believed the Odyssey should have been much more successful than it was but was held back by certain issues. The console was only sold at Magnavox retailers, not at nationwide retail chains. There was consumer confusion about whether the Odyssey could play on sets other than Magnavox-branded televisions because of the company’s early advertising campaign. The retail price was much higher than Baer’s original idea of a low-cost, easily accessible game box for $19.95. He also didn’t believe Magnavox continued to push the envelope with his new ideas and build upon the Odyssey design. A few years later Atari passed them by, selling millions of its own home consoles and becoming the face of the console market. The Odyssey might seem primitive by today’s standards but for its time was something special. It used plastic overlays for each game that were set on the television screen to create the background effects the system couldn’t make on its own, as shown in this promotional video. It was battery operated. There was no sound or audio effects. The console didn’t keep score for its sports games. Games like Simon Says and Roulette used extra accessories like paper cards and poker chips to play. Unlike modern home game consoles, the Odyssey ran with no processor or software. Instead it was made of transistors and other parts based on electronic designs from the 1960s. The games themselves were put on cards, each labeled with a number. Nothing was actually programmed on the cards. 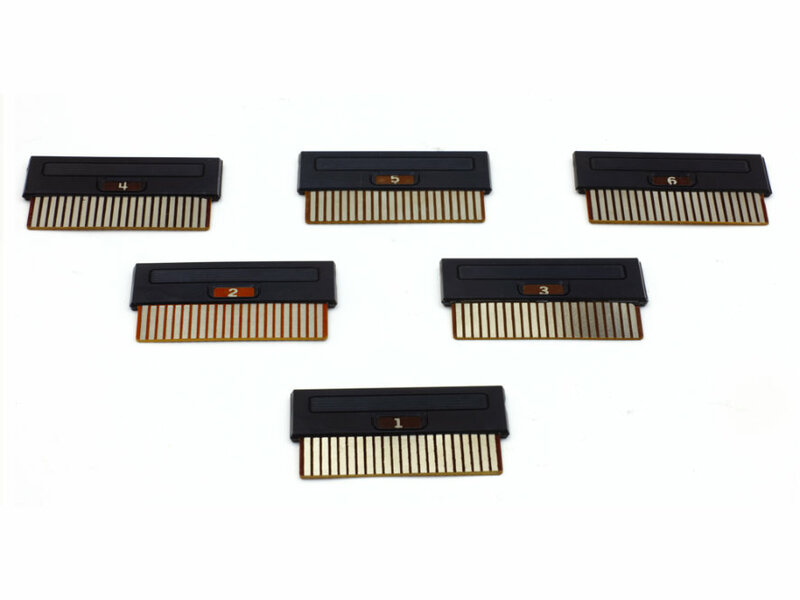 Each acted as a different connection with the circuits inside the Odyssey when inserted into the front of the console for specific playability. The Odyssey came bundled with 12 different games like Simon Says and others simply called Football, Hockey, Cat and Mouse, Geography and Roulette. Each game for the Odyssey focused on two people playing together as family entertainment. Additional game packs that included titles like Baseball and Volleyball were created after the console’s release, only for sale at Magnavox retailers or by mail order. In total there were more than 20 playable games for the Odyssey. One of the most important titles Baer developed was the predecessor to Pong called Table Tennis. a ping-pong game that was playable on the Odyssey. He also invented the first ever light gun accessory called The Shooting Gallery for the Brown Box that connected directly to the console. 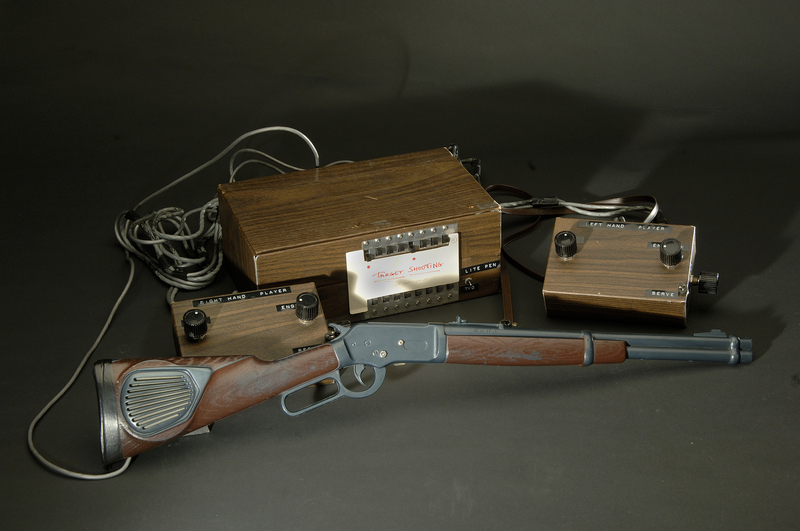 The rifle was produced for the Odyssey, retailed for $24.95 and came with four extra games. The Shooting Gallery sold more than 80,000 units in its lifetime. Light gun games became a staple of the video game arcade industry, popularized in iconic titles for home consoles like Duck Hunt (1984) on the Nintendo Entertainment System and the concept can be seen behind modern products like the Nintendo Wii and PlayStation Move. Baer and Sanders Associates filed for the patent on the home game console in March 1971 and received it in April 1973. The first lawsuit in the history of video games took place over the patent against Atari in 1974. The lawsuit claimed that Atari infringed on the patent and copied the idea for the Pong arcade game that released in November 1972 based on the Odyssey and Table Tennis design. Nolan Bushnell, an Atari co-founder, played an Odyssey prototype with Table Tennis at a demonstration in May 1972. Baer was able to prove that Atari copied his idea because of his meticulous record-keeping that showed he created the original designs. Atari settled the case for $700,000 and became the second licensee for the patent. They even faced a lawsuit from Nintendo in 1985 challenging the patent, which Nintendo lost. Baer testified in numerous court cases over the years. From the lawsuits over various patents, Sanders Associates and Magnavox made more than $100 million. Baer wasn’t made aware of that figure until 2002. Baer also created and co-developed the highly popular memory games “Simon” and “Maniac” for Milton Bradley in the late ’70s and into the ’80s. The “Simon” line of toys was a device with four different colors that lit up in sequences that players had to press back in the correct order. The toy sold millions and is still available today. Baer was a prolific inventor that owned more than 150 patents worldwide. He was inducted into the National Inventors Hall of Fame in 2010. In 2006 he was awarded the National Medal of Technology by President George W. Bush for his lifelong contributions to the video game industry. Baer won the Game Developers Choice Pioneer Award in 2008 for his significant impact on the video game world. He donated his inventions, prototypes and documentation to the Smithsonian Institute, some of what is available to view online. Baer was born on March 8, 1922 in Germany into a Jewish family. They fled the Nazis in 1938, moving to New York City and starting a new life in the Bronx. He worked at a leather factory when he was 16 making different accessories. While on the subway, he saw an advertisement on a magazine for the National Radio Institute in Washington, D.C. that said there was a lot of money to be made in servicing radios and televisions. He took courses at the school to be a radio technician, graduating in 1940. Afterwards he took a job fixing television sets in New York City. He was drafted to the U.S. Army in 1943, serving as an intelligence officer for three years. After his service in World War II, Baer graduated with a degree in television engineering in 1949 from the American Television Institute of Technology in Chicago. He moved on to work with Loral Electronics in 1951. He moved to New Hampshire in 1955 and joined Sanders Associates in 1956, doing engineer work on military electronics. He eventually became manager of eight different departments with close to 500 people under him while developing the concept for a television gaming device on the side. Baer retired from Sanders Associates in 1987 to begin his own consulting firm. He stepped away from the video game industry in the early 1980s but still continued to create many other electronic toys and games. He couldn’t imagine that from his invention would spawn the multi-billion dollar game industry. “Could Thomas Edison have predicted that everyone would be walking around the street with portable telephones? No, I had no idea,” Baer said in a 2006 interview. While not a big video game player himself, especially in his later years (saying they became too complicated for him), Baer remained a defender of his invention and the industry it created. He believed video games were an important artistic creation and entertainment outlet. “The criticisms come mostly from a generation that never played a video game in their life,” Baer said in a 2013 interview. Baer is survived by his three children, James, Mark, Nancy and four grandchildren. Baer’s wife Dena Whinston passed away in 2006. Baer avoided many of the high-tech advancements in his later work. “It’s impossible. I cannot compete with 100 people in a media lab at MIT…doing their thing, all day long. It’s impossible,” he said during a video profile from 2011. Baer used 20-year-old technology, “with creative regurgitation of things that had been done before,” to make electronics for fun and keep his mind sharp.